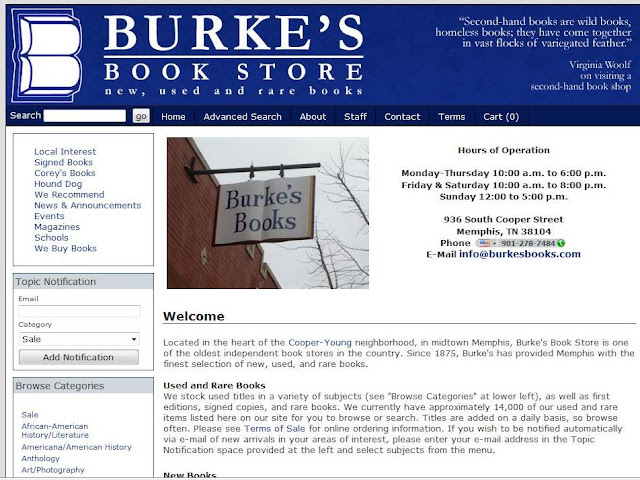 My novella Grease Stains, Kismet, and Maternal Wisdom is now available at Burke's Book Store in Memphis, Tennessee. Huge thanks to Corey Mesler and company. If you're in Memphis, stop in and have a look around. If you're chilling at home on your computer, stop in and have a look around. The world is very small sometimes. Have a good day, y'all. Support your local indie. Grab Grease from Burke's right HERE.